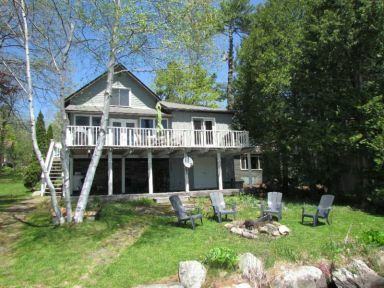 We start our booking process as soon as cottage listings for the current year's summer season are published on this website. This is done annually, starting November 15, with new listings being added throughout the year as availability becomes known. Most of the larger cottages for rent, on larger lakes, are only available for longer-term (i.e. four weeks or longer) rental at this time. Smaller lake properties and a few large lake properties may be available for weekly rental right away. Use our query tool to see what's available for the week you want. Towards the end of March/beginning of April the larger properties that have not been rented longer-term may become available for weekly rental. Also, new listings just coming in at this time are also usually available by the week. 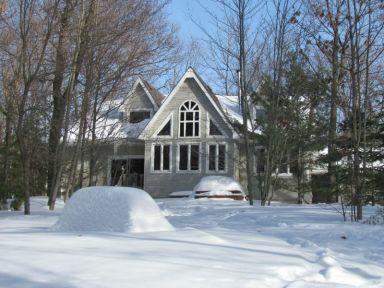 We have new listings for lakeside cottages for rent, coming available right through the summer. If you are looking for a 1-2 week rental and we don't seem to have much available during March/April/May, don't despair! Keep checking, using our query tool, to see what we have available for the week you want, or, if you have your eye on specific Ontario cottages for rent, check its availability chart frequently. We update online availability at least once a week. For those that just can't wait, it is possible to leave your request before January 10, but please keep in mind that we cannot guarantee the booking. But just take your name.